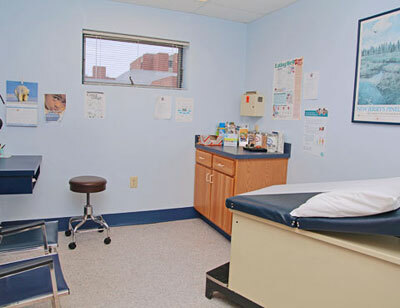 Cumberland Family Medicine Associates was founded in 1985 by Dr. Edward Nemore and Dr. Jill Mortensen first in Port Norris and Port Elizabeth, NJ. We moved to Millville in 2000 to better serve the whole Cumberland County community. Dr. Nemore died at a tragically young age in 2002, and we miss him still. We carry on the tradition established by him to care for patients of all ages and needs in our community. Dr. Mortensen was joined in practice and partnership by Dr. Brian Davis in 2003, and Kate Thompson APN in 2009. Together with the help of our dedicated staff, we compassionately treat patients of all ages in the office setting. We provide pediatric care, adult well health, women’s health and geriatric care, as we focus on helping the whole patient physically and mentally. We distribute health information and education to help our patients understand their medical treatment plans. We practice Evidence Based Medicine and want you to understand the risks and benefits and costs of medical treatments. We encourage our patients to be actively involved in their health care decisions, and will partner with you to develop a healthy life style management plan. We emphasize the importance of regular exercise, healthy natural nutrition, smoking and alcohol cessation, and help to achieve your goal weight. Our goal is to provide a partnership with you to help guide you to a healthier future.